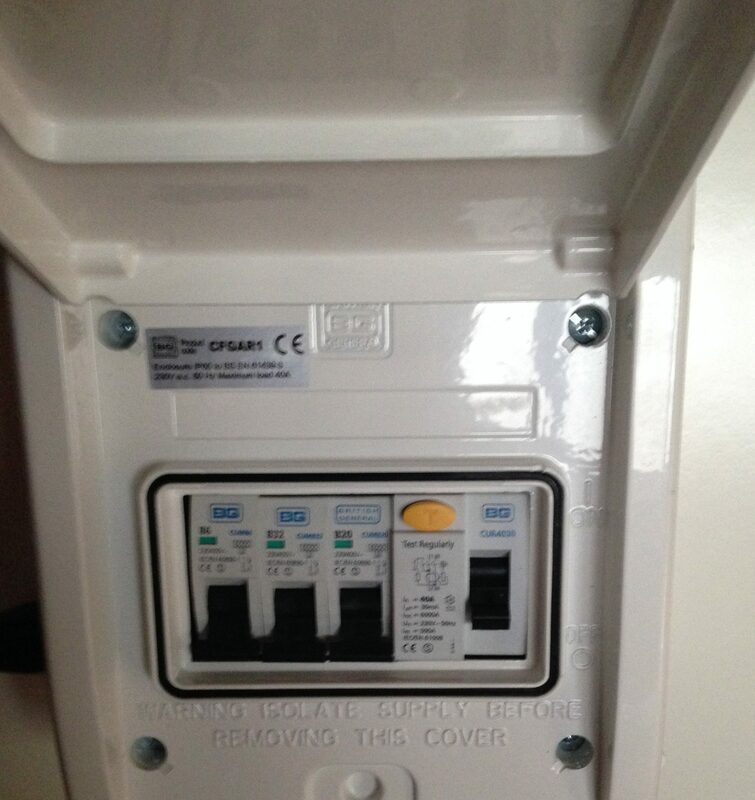 Having an updated consumer unit in an outdoor location is essential. Where water is present there is a greater risk of shock and corrosion of the metals on the connections etc. In this installation there was added risk had conductive pipes coming into the building, a garage. So an earth rod was required to satisfy regulations. Certificate and building notification included in the price. The result is a safe and reliable electrical installation outside for washing machine and other appliances.